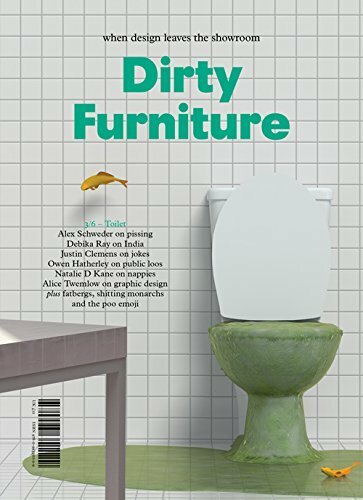 In the third issue of ‘Dirty Furniture’ is on the theme of the toilet, which investigates the nature of “”toilet humor””, with essays on the loss of the public WC . Sanitation in India is investigated, toilet paper discussed, diapers reconsidered, and included is an interview with a farmer and a toilet attendant. Graphic design, , Superflex, and emoji are part of this issue as well. pp. 144; paperback. Publisher: Dirty Furniture, 2016.